Nguzunguzu, figure on the bow of a canoe, New Georgia, Solomon Islands, 19th Century © MKB, Derek Li, Wan Po. 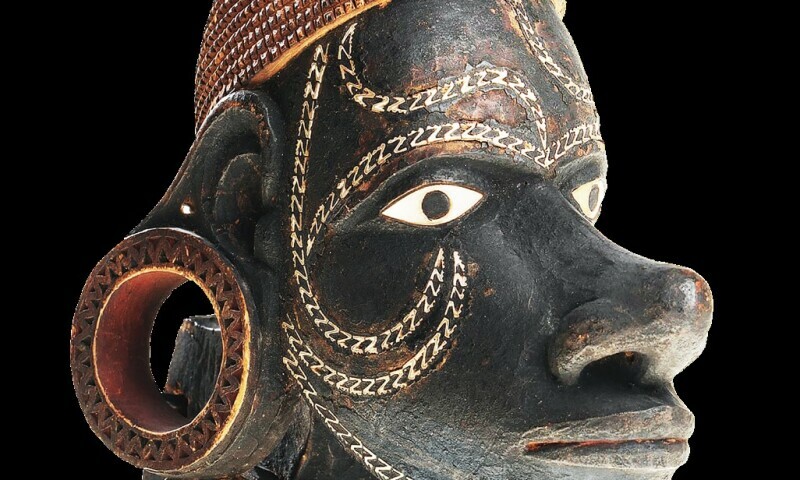 Not a single exhibition anywhere in the world has encompassed the cultures of Oceania in their entirety for thirty-five years. Oceania pays homage - two hundred and fifty years after the first voyage of James Cook in the Pacific - to the artistic creations of a continent composed of 25,000 islands. In bringing together 170 works from public and private collections, featuring several masterpieces that have never previously been Artwork to the general public, the exhibition charts the history, from Antiquity to the contemporary era, of a corpus of art that serves as a custodian of traditions and identities that have been shaken by trade, colonisation and forced evangelism. Across this vast, scattered territory, in which each archipelago, island and land has managed to preserve its own unique characteristics, artists nonetheless share universal questions, issues and reflections. Featuring painstakingly sculpted canoes, jade ornaments, ritual figures and contemporary videos and installations, Oceania reveals how tradition and ancestral memory coexist with the visionary and sometimes critical perspective that these artists have of their society and the rest of the world.